NYC, 02/02/2019, 3:00PM. 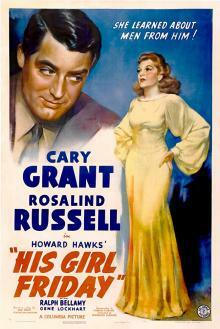 His Girl Friday (1940): Screwball comedy by Oscar nominated director Howard Hawks. 92 min. Starring Cary Grant, Rosalind Russell, Ralph Bellamy.